We here at A Timely Perspective love A. Lange & Sohne. I mean, love them. While the German brand was walled off from the world for a portion of its existence, it didn’t stop it from coming back like gangbusters. This company offers some of the most advanced technical watches with superb stylistic elements that propel its complications, and arrangement of complications, to all new heights. 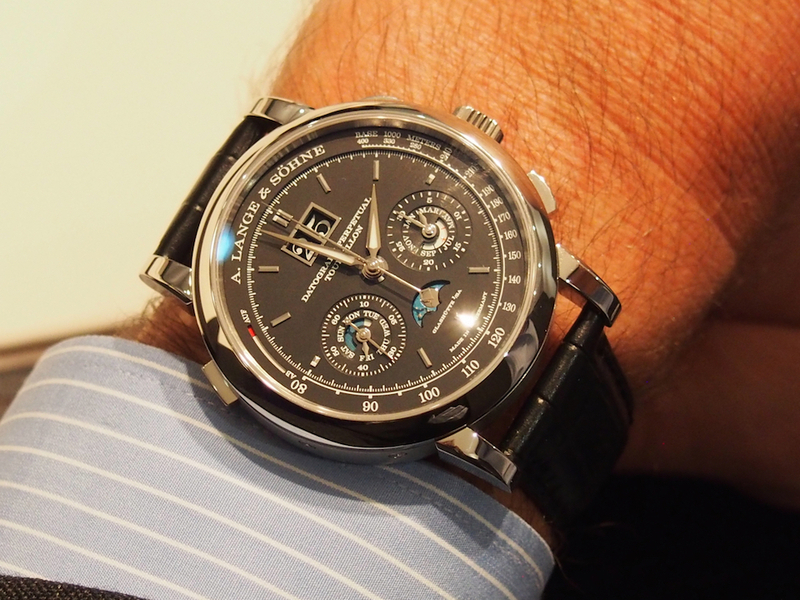 This year is no exception thanks to the unveiling of the (not yet in stores) Datograph Perpetual Tourbillon. The latest from the house of A. Lange & Sohne pairs three complications with five supplemental functions and a dial that displays all of that information as simply as possible. The new Datograph Perpetual Calendar Tourbillon is powered by the calibre L952.2, comprised of 729 parts, and features a 50 hour power reserve. In short, the Datograph offers a column-wheel chronograph with a jumping minute counter (to display the stopped time) and a flyback function to measure multiple events. 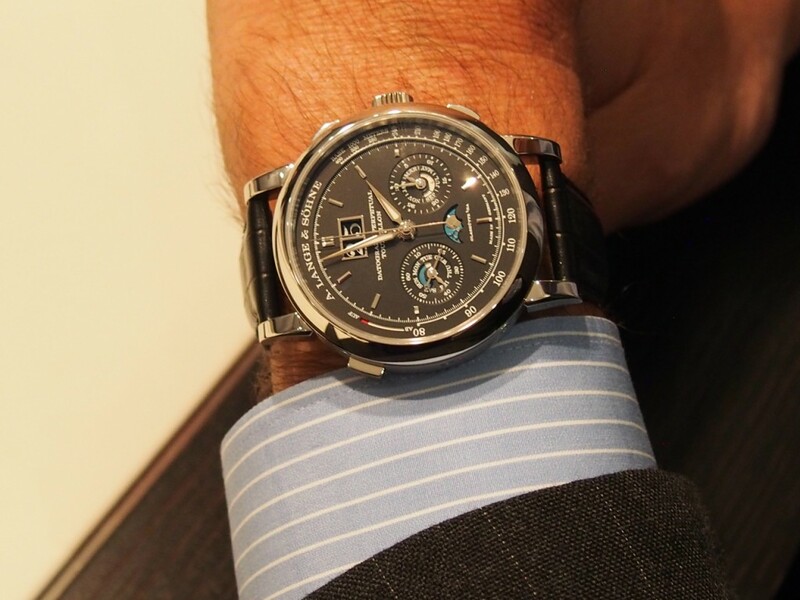 Additionally, it features the iconic A. Lange & Sohne outsized date. The perpetual calendar on the Datograph features an instantaneously jumping perpetual calendar with moon phase display. The sub registers illustrate day of the month, month, day of the week, leap year and the oversized date is featured prominently at the 12 o’clock position. At the appropriate time, each indicator instantly jumps. While the perpetual calendar is accurate without adjustment until 2100, the moon phase indication is accurate for 122.6 years. The watch is equipped with three separate points of adjustment, one each for the moon phase, day of the week, and the combined advance of the month and year indicators. The one-minute tourbillon is only visible via the exhibition case back. This may be the only disappointment as so many people love to watch the beauty of the ever-moving tourbillon while on the wrist. However, its placement and visibility from the caseback does make for a nice secret that only the wearer knows. Of note, the balance beats at around 2.5 Hertz or 18,000 semi oscillations per hour vs. the brand’s typical 21,6000. The slower frequency allows for stopped times to respond in approximately 1/5 of a second. Additionally, the stop second function brings the balance wheel in the tourbillon to a standstill and allows time to be set within a one second accuracy. The watch is just over 14mm thick and boasts a tourbillon, chronograph and perpetual calendar accurate to 2100. The new Datograph Perpetual Calendar Tourbillon is housed in a 41.5 mm platinum case, and features a stunning black and silver dial. The hour indices and hands are done in rhodiumed white gold and the aforementioned complications and features are easy to follow on the dial. At the 6 o’clockyou will find the moon phase. The perpetual calendar displays are located within the two sub registers at the 4 and 7 o’clock positions. The 4 o’clock register features the 30 minute timer, month and power display, and the 7 o’clock features the 60 second register as well as the day of the week. Around the edge of the dial is a tachometer scale. 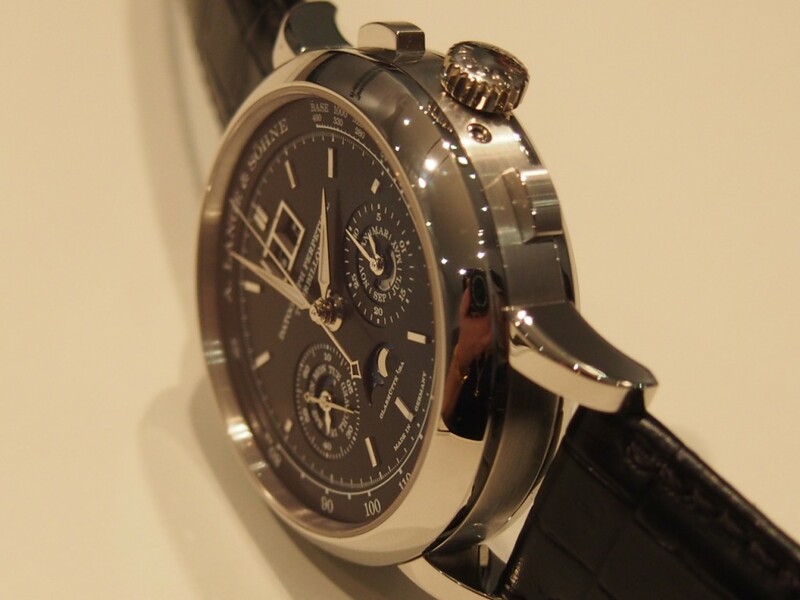 In all, the watch is a whole lot of goodness that reminds us of why we love A. Lange & Sohne. The will be limited to 100 pieces and retails for 295,000 Euros.